EXEL International is a privately held family owned and operated corporation that has been manufacturing and distributing disposable medical and animal health care products since 1985. 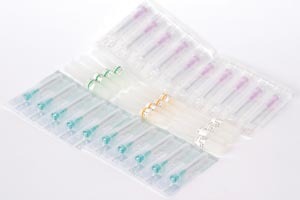 EXEL's comprehensive product line features both safety and conventional disposable hypodermic products. In addition to their standard syringes and needles, EXEL also offers blood draw sets, port access (Huber) infusion sets, IV administration sets, and much more.